France is famed for all sorts of amazing routes to explore by bike. Some Tour De France fans cross the English Channel to follow in the footsteps – or rather the bicycle tyre tracks – of previous racers. Meanwhile, other cyclists like to explore the scenery and culture of the country on two wheels. At The Insurance Emporium, we want to help you pursue all of your biking passions. If cycling in France sounds like a magical adventure, this guide could be for you. 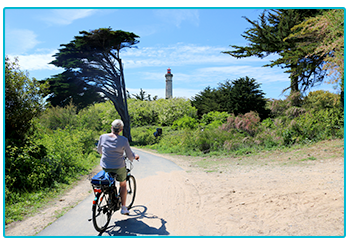 There are options for cyclists to explore islands, get a taste of the Tour De France route and enjoy views of the Atlantic Ocean between the Gulf of Morbihan and Bordeaux on the West Coast of France. The Grand Depart of this year’s Tour De France will be in Noirmoutier-en-l’Île and will take riders to Fontenay-le-Comte. South of this route, if you’re less bothered about the race and more interested in exploring France by bicycle, you could visit Île de Ré and cycle the scenic, ancient salt road. In Normandy, you could combine a passion for cycling with an interest in history as this region witnessed the Battle of Hastings in 1066 and the Allied Landings in 1944. It’s also considered to be the home of Impressionism and a bike ride through Honfleur will let you see some of the inspiration for various artists of this art movement. There are also plenty of opportunities to enjoy sea views along scenic coastal bicycle routes. Adventurous Tour De France fans will no doubt want to experience the climbs of the French Alps on their own bike, including Col du Galibier, Col de la Madeleine and the legendary switchbacks of Alpe d’Huez. 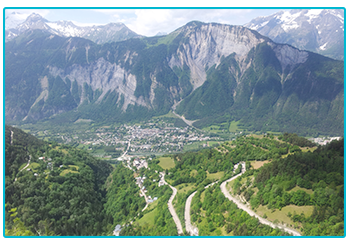 This year, Stage 10 of the Tour, which travels from Annecy to Grand Bornand, will also be the route for L’Étape du Tour 2018 – an annual cyclosportive event for amateur cyclists on a Tour De France stage. Summer is the best time for cycling in the Alps, when the roads will hopefully be free of snow and ice. This historical region, on the west bank of the Rhine and the border with Germany and Switzerland, is a beautiful melting pot of cultures and a great place for cycling. Passing through this region is the Rhine Cycle Route EuroVelo 15, which won the award for Most Popular EuroVelo Route in 2017. In Alsace, you could also visit vineyards, pretty villages and the region’s capital; Strasbourg. France’s other most infamous mountainous road cycling destination is the Pyrénées. The mountain range is often used during the Tour de France, with stages 16, 17 and 19 taking place here this year. Sometimes, it also appears in another grand cycling tour; Vuelta a España. 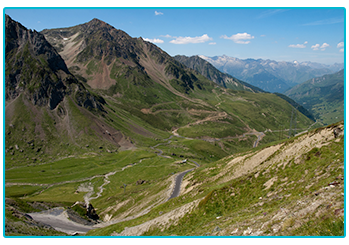 The range boasts tough climbs, including Col du Tourmalet, and fast descents. It is also dotted with traditional villages and is close to picturesque regional cities such as Lourdes and Pau. For many cyclists, from casual riders to professionals, France is a must-visit. If you are thinking of taking your bike abroad this summer, it could be worth insuring it. With The Insurance Emporium’s Cycle Insurance, you could choose the Territorial Coverage Elective Benefit for EU countries for up to 45 days*. We also offer up to 25% discount on new policies, including a 15% Introductory Discount^. If this has piqued your interest, just pop by The Insurance Emporium today! *Up to 45 days available on lunar monthly policies only. Yearly policies offer up to 35 days. ^15% Introductory Discount only available for the first year of new policies.